Eye diseases are very common. They can be a result of some serious and degenerative diseases. Some of the eye diseases that can harm your vision include myopia, farsightedness, cataracts, glaucoma, etc. Some can be extremely serious and can cause blindness. 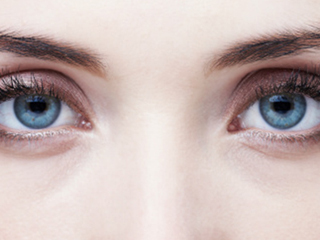 These diseases can affect your central and peripheral vision or both. It is vital to have regular eye examinations with an optometrist to detect the eye diseases and get the appropriate treatment in time to keep your eyes healthy. A person with myopia is not able to see distant objects; they appear blurry for the person suffering with the condition. Myopia occurs in different degrees from minimal to extreme. Objects will have to be closer for a person with myopia to see them clearly. If you have hyperopia, then you won’t be able to see close objects clearly and they appear blurry. This happens when the eyeball is too small for the light to focus clearly on the retina. Astigmatism is when the surface of the eye (cornea) is not perfectly round; it rather is more oval and does not allow the eye to focus clearly. The cornea is very important in helping the eye focus light rays on the retina. This disorder never appears alone and it is accompanied by either myopia or hyperopia. In presbyopia, you face the loss of ability to focus up close. This usually is due to ageing. Most people are between 40 and 50 years when they realize for the first time that they can’t read objects. Glaucoma is a disease affecting the eye in which the fluid pressure within your eye rises and if it is left untreated then there are chances of losing vision and worse, become blind. The disease has been found to affect both eyes in general. Cataract is a medical condition of the eye, usually observed in old people, wherein old cells clog to the centre of the lens as a result of the formation of new cells on the outside. For a person who has cataracts, seeing at things is just like looking outside a fogged-up window. The clouded vision that is caused by cataracts may make it more difficult for a person to read, see the expression on a friend’s face or drive a car, especially at night. 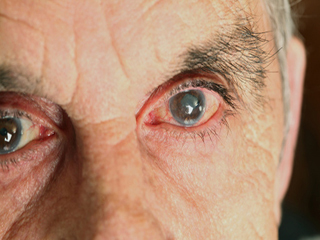 Most of the cataracts that people have develop slowly and do not really disturb the eyesight early on. With time, however, cataracts end up disturbing the vision. Macular degeneration refers to a chronic disease of the eye that leads to vision loss. This disease of the eye is characterised by the deterioration of the macula, the centre of the retina. There are two types of age-related macular degeneration, namely, dry macular degeneration and wet macular degeneration. Amblyopia or lazy eye is a condition in which either of the eyes does not acknowledge the images it sees. During the condition, the brain does not receive images as it should be resulting in vision impairment and loss of depth perception. The affected may wander in different directions but may not look any different from the normal eye. Lazy eye mainly affects only one but in certain situations, it can affect both eyes. The condition is more common in children but it can happen to anyone. Diabetic retinopathy takes place as a result of diabetes. It occurs due to damage to the blood vessels of the light-sensitive tissue placed at the back of the eye (retina). Initially, diabetic retinopathy causes show no symptoms or may cause a mild vision trouble. However, this grows with time and can cause permanent blindness. In some cases, there may be small areas of the retina that are torn. These areas, called retinal tears or retinal breaks can lead to retinal detachment. Retinal detachment is an emergency situation in which blood vessels that provides it with oxygen and nourishment comes off. This leaves the retinal cells lacking oxygen. If it goes untreated and ignored, there is a greater risk of permanent vision loss in the affected eye. Dry eye syndrome is one of the most common eye problems, and it becomes more common as people age because tear production can diminish as part of the ageing process. When the tear system is off the track and doesn't produce the required components to keep your eyes moisturized and lubricated, it results in a condition called dry eyes. Dry eyes may feel uncomfortable with several other symptoms including pain, itching, redness, blurred vision, the sensation of sand in the eyes and over-sensitivity to light. Chronic glaucoma usually causes no noticeable symptoms till late in the course of the disease as the condition develops very slowly. Most people with this type of glaucoma are not aware that their sight is being damaged. Glaucoma can be perilous as the patient can lose his or eye sight and therefore it is very important for you to get diagnosed as early as possible. It is important to contact your doctor immediately if you have any of these symptoms or in fact, any symptom related to a problem in the eyes or vision. Early diagnosis and treatment can prevent further damage to the vision. 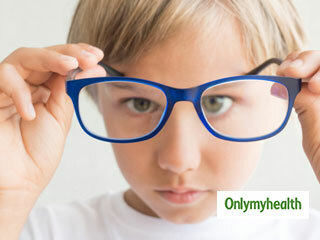 Myopia is usually hereditary and can be diagnosed in childhood. The disorder usually rectifies with time but, there are also chances that it can worsen with age. A flat cornea is the major cause of farsightedness. A small eyeball is shorter than normal can also lead to the problem. Presbyopia is an age-related problem, which leads to the loss of flexibility in the eyes’ lens. Genetics is a big factor in the development of astigmatism. It can also occur after an eye surgery. 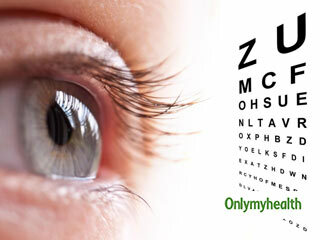 The diagnosis of eye disorders involves a standard vision test. Your doctor will probably use a phoropter (an instrument to measure the amount of refractive error that you have) and it will help determine the proper prescription to correct it. There are multiple ways in which you can treat the refractive error. If a surgery is not what you would prefer, you can resort to glasses or contact lenses to correct the problem of nearsightedness or farsightedness. Treatment for refractive errors includes prescription glasses, contact lenses or with refractive surgery, such as LASIK (laser-assisted in-situ keratomileusis) or PRK (photorefractive keratectomy). Glaucoma treatment aims to reduce intraocular pressure by improving aqueous outflow by reducing the production of aqueous humour to prevent damage to vision. Some treatment options for glaucoma include eye drops, oral medications and surgery. Depending on the severity of your condition, your doctor will recommend treatment. Appropriate treatment and early detection can help prevent vision loss. The only effective way to treat a cataract is surgery. Your doctor will guide you if surgery is right for you and it is mostly considered when the condition starts affecting your quality of life or interfere with your ability to perform daily chores such and reading or driving at night. Once you have been diagnosed with macular degeneration, no form of treatment can restore it, but future damage can be prevented. Macular degeneration usually progresses slowly and a lot of people with the condition can live a normal, productive life with the help of treatment. Some treatments that help to soothe condition including increasing the intake of vitamins in your diet or this procedure is one to implant telescopic lens in one eye and is done in selected people who are suffering from macular degeneration in both the eyes. For the treatment, the doctor might ask you to use the weaker eye (one with reduced vision). There are two ways used to do this include atropine and patching. During the first three stages of diabetic retinopathy, no particular treatment is given to the patient unless you are suffering from macular edema. Proliferate retinopathy is treated with laser surgery. This procedure is called scatter laser treatment. Scatter laser treatment helps to shrink the abnormal blood vessels and it can actually help to save your complete sight. A treatment known as cryopexy which treats holes and tears is performed by doctors in such cases. During the laser surgery, tiny burns are made around the hole and freeze that area. This helps reattach the retina. Not all of us are fond of the idea of putting too many eye drops in our eyes, so here is a more natural way, Ayurveda, to help improve your eyesight. Eye problems can have profound effects on a kid’s academic performance, and their recreational activities may be impaired. Know the reasons for eye problems in children. 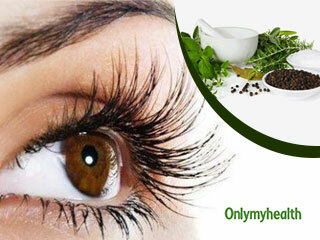 Learn to identify eye problems that you must not ignore and consult an ophthalmologist to maintain healthy eyes. Our eyes are precious and we need to keep them safe. 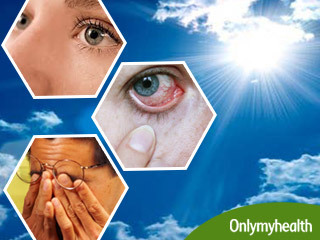 Learn all you need to know about common eye problems, their causes, symptoms and treatment. Blue light from smartphones, laptops and other digital devices damage vision and can cause blindness. Exposure to blue light results in the generation of toxic chemical molecules within the photoreceptor cells which are light-sensitive cells in the retina. Doctors have seen a significant increase in the cases of children suffering from dry eye and eye strain from watching from screens. Due to searing heat in the summer, allergic disorders of the eyes can develop. Minimise your sun and dust exposure by wearing protective sunglasses. Here are some other handy tips to protect your eyes during summer. A new study reveals, glaucoma, which is commonly referred as "the silent thief of sight," due to irreversible damage it causes even before you know it, can be prevented by adding vitamin B3 to water. 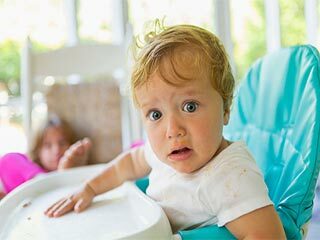 Toddlers are vulnerable to eye problems. While certain conditions are naturally occurring and the infant outgrows them, many may require intervention.